The man in a suit was actually a police double made to look like Officer Nero. 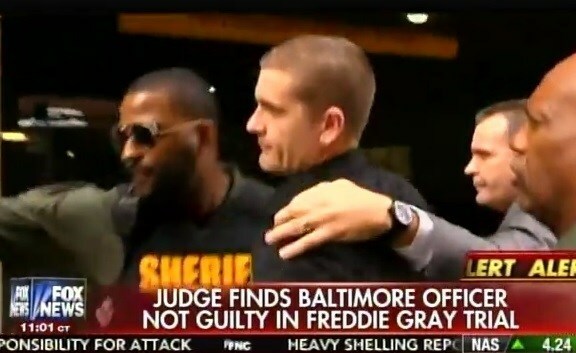 Officer Edward Nero was cleared of all charges today in connection to the death of Freddie Gray. The protesters SCREAMED PROFANITIES after police officers escorted a police double across the street after the not guilty verdict.